It’s safe to assume that those polled are either not parents, not working, or both. 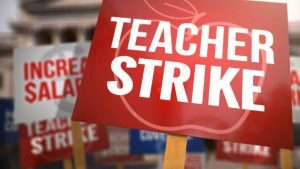 Nobody in their right mind would actually consider teachers striking to be a good outcome for school-aged children, right? LOL. That the union refused to even release the specific questions asked in their poll makes this less a poll than complete and utter nonsense. And since it’s not a real poll without that data, it’s likewise not a real story and shouldn’t be treated as one. Unless your outlet is Chalkbeat Colorado. Will Colorado’s official nonofficial poll critic, John Frank from the Denver Post Colorado Sun, weigh in here? Oh, wait, the Post Sun hasn’t covered it. Looks like he already has.